December 3, 1994 – A date that changed the world forever when Sony launched ‘PlayStation’, their first gaming console in Japan. Specs alone made this a monster among industry elite such as SEGA and NINTENDO. 100 Million systems were shipped world wide which was unheard of. It created a wave among the world of business and entertainment and those who used to subjugate gaming to a childish activity, started to pay attention. To many, PlayStation was the first big step towards making the video games into a $115 Billion industry. Many companies came together to start working on games as a business. Many consoles were created to compete with PlayStation but all fell flat, some due to bad hardware choices and others due to lack of games. Even to this day, PlayStation consoles are a forced to be reckon with and it is all thanks to the first generation. Recently a trend about resurrecting old tech became popular. Retro and classic hardware showcase the early days of technology and are very desirable especially for those who weren’t even born at that time. It fascinates them more than anything. With current technology of backwards compatibility and digital libraries and even emulators, gamers can relive the old days, but it is not the same as a piece of hardware to showcase one’s collection and have the sense of possession. 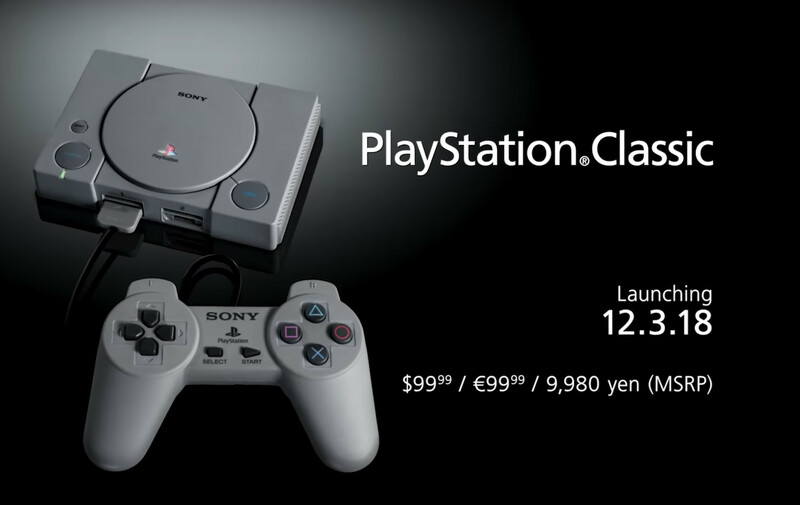 Sony has come out with a modern version of their original console by the name of PlayStation Classic. 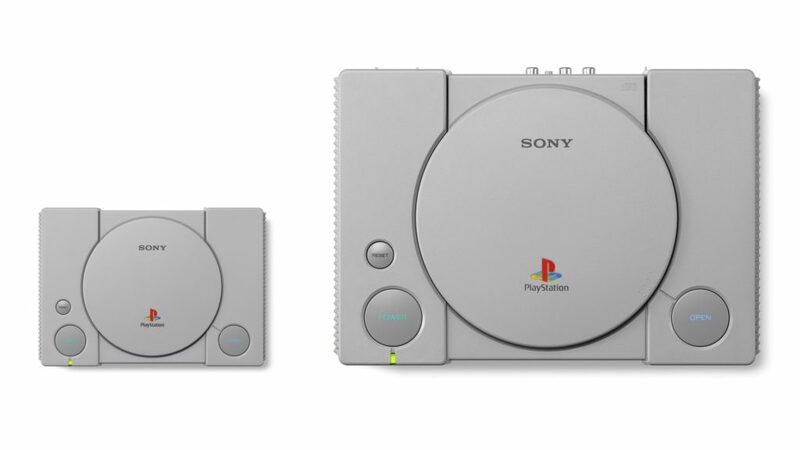 It is 45% smaller and carries a digital library within and uses the same old controllers except they connect via 1.5 meter USB cable at the front. It has an HDMI port at the back instead of an AUX system like in the old days. A 2 meter HDMI cable is included with 2 controllers matching the color of the console and a power cable. Right out of the box, the system is ready for plug and play. It is rather disappointing though that aside from it being a collectors item for sure, it doesn’t bring much to the table by modern standards. The on board games although carry some high profile titles such as Metal Gear Solid, Final Fantasy VII, Twisted Metal and others, it is missing many titles that should’ve been included to make it a true classic. 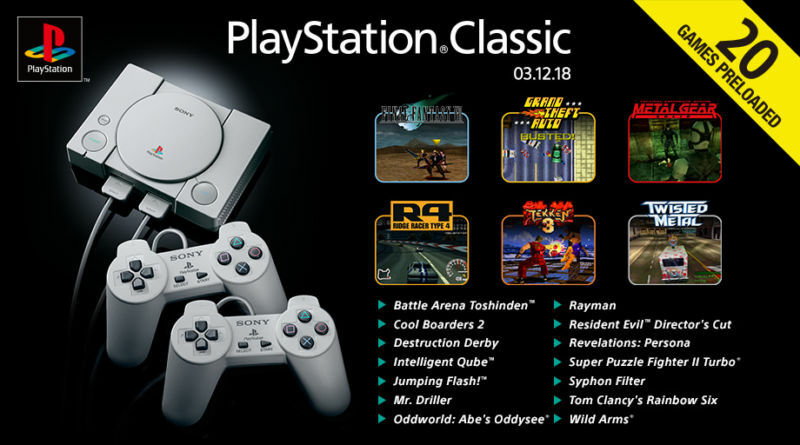 Games like Crash Bandicoot, Gran Tursimo, Tomb Raider and Wipeout that played a huge role into making PlayStation a must have console in the 90s, are not present. Another issue that could’ve been easily addressed is the up-scaling of the graphics on modern TVs. The games do not render well on 4K television sets and even the text is unreadable and it is a huge bust in my opinion. Older controllers or the replicas as they are calling them, do not have any joysticks on them just like the originals and that seems unnatural by today’s standards. I mean sure this is an older console revitalized but playing a 1st person shooter like Rainbow 6, which is included in the library, is almost impossible to play. The result is an opportunity missed by some behind the scene decision making which ultimately gives consumers something that always wanted but doesn’t really deliver to it’s promise at the end. It has good points no doubt but to make it a must have, I believe there should’ve been more games, better visual filters and maybe a proper controller and gamers would’ve paid twice the asking price with a smile on their faces. But as is, the pint sized console costs only $99 which is more than reasonable but it is a good gift item at best.